I’m somewhat late to this month’s party, having spent a week in Spain (more of which next week). We’re starting with Arthur Golden’s Memoirs of a Geisha which took the bestseller charts by storm back in the late ‘90s. Although I’ve read it, I can’t say it stands out in my memory. Given the Japanese connection I can’t resist linking to a book by one of my favourite writers, Haruki Murakami. Last month I wrote a Blast from the Past post about one of his wackiest novels, A Wild Sheep Chase. To balance that I’ve chosen South of the Border, West of the Sun, a much more accessible pieces of fiction about a happily married man forced to remember his past when his childhood sweetheart reappears. Cats pop up all over the place in Murakami’s fiction which takes me to Takashi Hiraide’s elegantly pared-back The Guest Cat about a reclusive young couple who open up their home and hearts to a stray cat and are then faced with the prospect of moving. 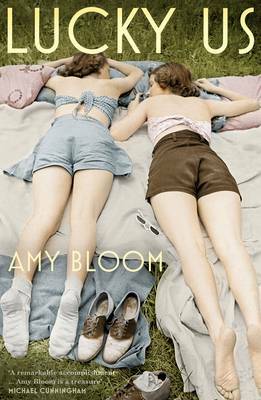 Short but not slight, it’s a thoughtful rather lovely book. 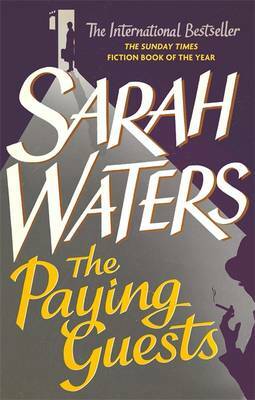 Cats are not known for paying their way as opposed to Sarah Waters’ characters in The Paying Guests which sees an impoverished war widow and her daughter reluctantly take in lodgers. Lots of readers loved Waters’ first twentieth-century set novel but I much prefer her Victorian pastiches. One of the best examples of Victorian pastiche I’ve read is Charles Pallisers’ The Quincunx which I pulled off the shelves earlier in the year for H who was recovering from a nasty chest infection. 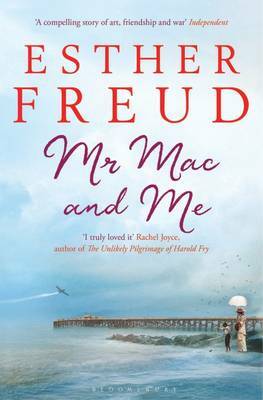 It’s many years since I read it but I do remember it has a satisfyingly convoluted plot and an equally pleasing unreliable narrator. I haven’t read Anthony Trollope’s Palliser series but H tells me I really should given that I’m a fan of state of the nation novels. Made up of six separate books, the series was once known as the Parliamentary Novels and was adapted for TV back in the days before the BBC thought it was a good idea to condense a long piece of fiction into four parts. Which leads me to a more recent state of the nation novel of which there are many to choose from but I’m plumping for John Lanchester’s Capital because of its clever premise – surveying the nation through the fortunes of one London street just after the global financial collapse of 2008. This month’s Six Degrees of Separation has taken me from an ageing woman’s memories of her life as a geisha in early twentieth-century Japan to a single London street holding up a mirror to my own nation in 2008. Part of the fun of this meme is comparing the very different routes other bloggers take from each month’s starting point. If you’re interested, you can follow it on Twitter with the hashtag #6Degrees, check out the links over at Kate’s blog or perhaps even join in. This entry was posted in Reviews, Six Degrees of Separation and tagged A Wild Sheep Chase, Alfred Birnbaum, Anthony Trollope, Arthur Golden, Capital, Charles Palliser, Eric Selland, Haruki Murakami, John Lanchester, Memoirs of a Geisha, Philip Gabriel, Quincux, Sarah Waters, South of the Border West of the Sun, Takashi Hiraide, The Guest Cat, The Palliser novels, The Paying Guests on 13 April 2018 by Susan Osborne.